This article gathers 7 free eLearning Content Development eBooks from the industry’s top experts. As this is an ever-changing, dynamic field, you will find substance, functional knowledge and descriptions of ways to modernize, develop, or outsource your eLearning content. eLearning Content development is more than coming up with cool online training material. It may look and sound perfect to you and your team, but it is necessary to take into consideration the purpose of your eLearning course, your Learning Management System, as well as devices that the online training material will be access from. In this article, you can find a list of the latest 7 Free eLearning Content Development eBooks you can download and read. All Free eLearning Content Development eBooks are accompanied by a brief description about the eBook content to help you pick up the ones that better match your interests. These free eBooks cover a wide range of topics, from outsourcing eLearning content, to more specialized issues, such as how to curate content, eliminate nonessential content, modernize it or make it adoptable. This wealth of knowledge offers a fresh perspective about eLearning Content Development trends, and can help you in the process. One should put a lot of thinking in the decisions affecting eLearning content. This list will constantly be updated with new Free eLearning Content Development eBooks, so keep it as a reference, and download the ones that better match your interests. Enjoy your reading! Creating eLearning content from scratch is a creative process, one which we involve our clients in from day one. Here Learning Pool shares with you tips on how to develop innovative eLearning content from start to finish. This eBook is designed as a micro guide on Content Curation and provides insights on its definition, benefits, and more specifically, how it can be integrated into your learning strategy. 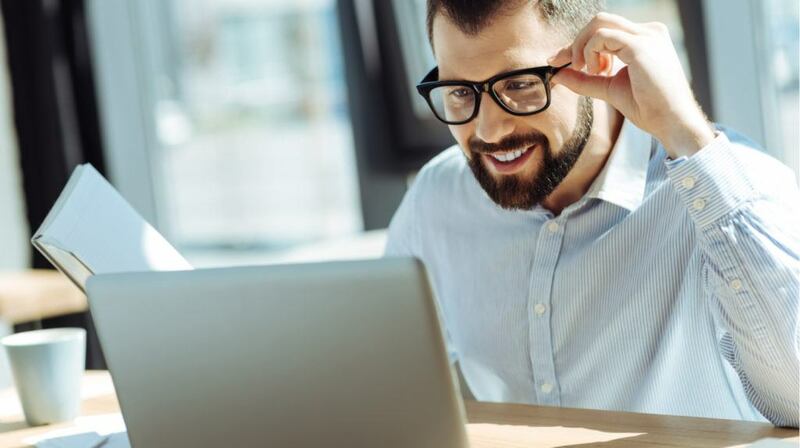 It shows how the right integration of Content Curation for eLearning can help you accrue significant benefits and add the required edge to your existing learning strategy. As an option to support formal training, and provide tools for Performance Support, it will be useful to gain insight on this effective approach to promote informal learning in the workplace. With significant investments in content development, companies need to search for ways to repurpose content across various learning programs. Not only will this increase the ROI, but it will also help increase engagement by modernizing the look and feel of courses to match changes in learner demographics. By studying this free eBook, you get advice of great use, regardless the level of craftsmanship you hold. Everyone wants to expand their knowledge on eLearning Design and Development. This is an opportunity you shouldn't miss. Some people say outsourcing is risky. This eBook provides an evaluation cheat sheet for eLearning content development outsourcing that will put you ahead of the competition. It also features some top notch advice on how to choose the right partner. Get insight on the aspects that you need to consider before venturing into an outsourcing initiative, and tips on how you can evaluate your potential outsourcing partner, and filter out the best. In this eBook, written by Patti Shank, PhD, the spotlight falls on five critical tactics to remove unnecessary words and content in order to make it more learnable. Learn ways to avoid complex writing that makes the message hard to understand. Successful eLearning content is synonymous to customized eLearning content. This eBook, includes five effective tactics to help you achieve that, advice on how to use a checklist to analyze your content, and a top ten of takeways, to wrap it all up. Get insight on the benefits of outsourcing eLearning content development, the related challenges, and how you can ascertain if outsourcing would fetch you the required business gains. This eBook takes a deeper look at the pros and cons of outsourcing eLearning content development and if it will work for you. The author’s 14 years of experience as an offshore development partner for several organizations globally, will surely provide you valuable advide that you can use. Wouldn’t you like to know the most effective tips for custom eLearning content development? Successful eLearning content is synonymous to customized eLearning content. This comprehensive eBook is the ultimate go-to tool to help you achieve that. The Best Custom eLearning Content Development Experts share their personal stories and anecdotes, and overall professional experience, to answer all the issues posed. With this list of Free eLearning Content Development eBooks on-hand, you can tap into the insight, advice, experience and expertise offered by top eLearning experts. All eLearning professionals can benefit from expanding their knowledge on eLearning Content Development. Best of all, they are all for free, and you can download them quickly and conveniently. This is an opportunity you shouldn't miss!